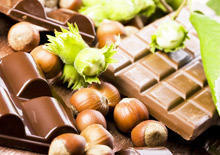 Chocolate is a delicious end product, which is obtained from the fermented, roasted and ground seeds of the cacao tree. The main ingredients of chocolate are cocoa mass (dry seeds of the cacao) and cocoa butter (fat of the seeds). Natural chocolate is derived from these two ingredients and adding a sweetener, usually sugar. In chocolate, you can add more milk (milk chocolate), various types of nuts (hazelnuts, almonds), raisins and other fruit fillings. 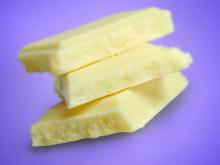 Only from cocoa butter without added cocoa is white chocolate mass produced. Aerated chocolate contains some form of air bubbles. - White chocolate - from cocoa butter, milk and sugar and contains no chocolate liquor and theobromine, which gives it the white color. According to the mode of production, is made into chocolate, bonbons, waffles, aired chocolate and even chocolate figures. 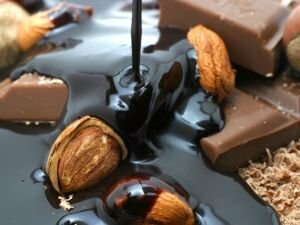 As a rule, chocolate must be bitter, with a maximum content of cocoa (over 60%). Today, however, chocolate is made very sweet deliberately and its natural oils are replaced with artificial flavors. They allow the taste to be more sweet and attractive. As a response, the masters of chocolate in Switzerland, founded an association to fight for "pure" chocolate. Cocoa, from which chocolate is made, is a complex mixture of over 500 flavor components. To use today's hundreds of chocolate and chocolate products on the market is to acknowledge the contribution of the Mayans and Aztecs. 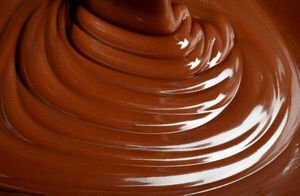 The very name "chocolate" comes from the word "Xocolatl", the Aztec word for it. 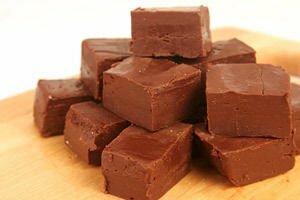 Ancient South Americans are known as using solid and liquid chocolate and worshiped it as food worthy of only the most senior people in their countries. Chocolate comes from Central America, because the tropical cacao tree only grows there. Since its invention, it has been transported to other tropical countries, and from there gradually, to different parts of the world. For many centuries, from cacao is produced only as a hot drink. Indians themselves, who first began to use the fruits of cocoa in food collected them from the ground and mixed with hot water and added some chili. According to archaeological research, people in Central America have even produced chocolate beer for centuries. According to psychiatrists, the desire to eat chocolate is not nothing but a subconscious attempt to increase levels of phenylethylamine, to feel the joy of life again. So chocolate has increasingly made an excellent remedy against depression and a good helper against diseases. Chocolate does not spoil as pure and moderate amounts of chocolate, and if you do not add milk, sugar, nuts and raisins. Dark chocolate is good for the diet and is the basis of the benefits to human health from the sweet temptation. 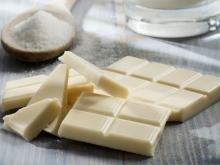 In 100 g of dark chocolate, there are 517 calories and white chocolate has 522 calories, but the milk one - 545 calories. Usually, dark chocolate contains 61% carbohydrates, 30% fat and 5-8% protein. 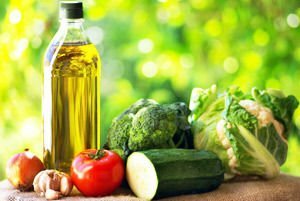 The fats in it are composed of saturated fatty acids - stearic (34%) and palmitic (27%), monounsaturated - oleic (34%) and only 2% poly saturated ones, presented by linoleic acid. Chocolate is an excellent source of many minerals, including potassium, magnesium, copper and iron. A healthy dose of chocolate must contain 260 or fewer milligrams of polyphenols. Chocolate flavor, which is rich in volatiles, is easily recognizable because of its wine, fruit and flower nuances that easily capture our nose. Chocolate contains biologically active substances such as caffeine (found in coffee and black tea) and flavonoids (tea and red wine). Antioxidant flavonoids act, and improve endothelial vasodilator function in the organ wall. Required components in chocolate are four that should be listed on the packaging: cocoa butter, cocoa mass, powdered sugar, and lecithin (emulsifier, which is in addition to cocoa butter and is made from soybean or sunflower oil). Cocoa butter is the most expensive component in chocolate, so some producers are often partially or completely replace it with other inferior fats. It is important to know that none of these oils can replace cocoa butter in taste and physicochemical properties 100%. According to established standards of quality, the chocolate content in it can not be less than 20% for a chocolate weighing more than 50 g and not less than 35% for chocolate weighing less than 50 grams. Today, the chocolate’s composition includes different emulsifiers and the most common is lecithin E322. 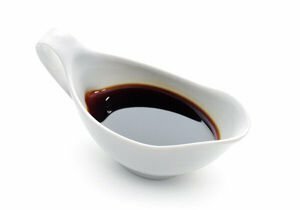 It is produced by processing soybean oil, which in turn can be natural or genetically modified. Information contained on chocolate products derived from genetic modification is required only when the proportion is more than 5%. Lecithin in chocolate is about 0, 3-0, 4%, so that manufacturers are required to indicate whether it is natural or not. The presence of hydrogenated fat content on chocolate is a sign of low quality. As a rule, the shelf life of chocolate is about 6 months without filling and for 3 months with filling. There are also chocolates with a shelf life of 12-18 months. If chocolate is just cocoa butter and does not contain any fat, then it can be stored for two years. This is due to the in cocoa butter’s natural antioxidants that prevent the fat from oxidizing. It has been shown that the storage of chocolate must be at or below 17 degrees because in the heat, it grow unhealthy microorganisms. It is best to keep the treats in the refrigerator to keep their shape intact and not melt. Chocolate is a product used in confectionery. 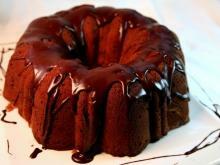 It is very widely used - in many cakes, pastries, muffins, sweet rolls and thousands of sweets. 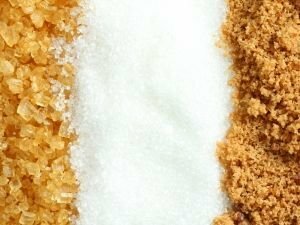 It combines perfectly with cream, strawberries, milk and many other products needed in the confectionery industry, making it versatile and more often used. Chocolate is used as a filler for the famous croissants, it is used in hundreds of creams. Chocolate contains natural antioxidants - catechins that slow the aging process in the body. It is a source of flavonoids and phenolics, preventing the onset of heart attack and stroke. They protect and strengthen the circulatory system, preventing the narrowing of vessels. 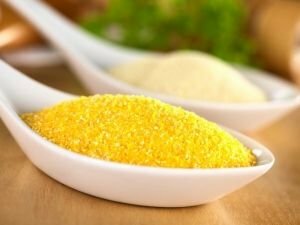 A block of about 10-20 grams per day is able to banish the bad cholesterol from the body and regulate cholesterol levels in general. In addition, a regular snack on dark chocolate is able to reduce the chance of stroke by between 22 and 46 percent. Chocolate is absorbed very quickly by the body, so it is a speedy source of energy for everyone. 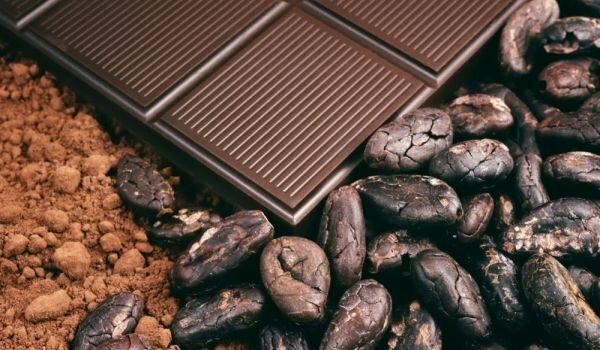 Flavanols contained in cocoa beans, improve thinking and make it faster, say experts. Chocolate contains phenylethylamine, which synthesizes our brain. This substance stimulates the functioning of the body and quickly fixes your mood. It is produced when one is in love and has the ability to accelerate the heart rate, increases energy levels and create a romantic mood. The tryptophan contained in chocolate, contributes to the production of endorphins - the hormone of happiness. It is even said that chocolate can cure depression. Now it is proven that chocolate does not spoil your teeth and even contains substances that protect tooth enamel. Chocolate treats coughs even better than specific drugs. 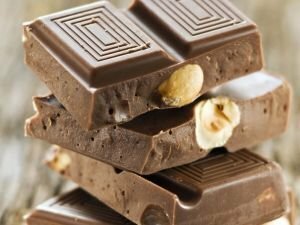 Chocolate helps toxemia during pregnancy. Moreover, it reduces the risk of complications during and after birth because it strengthens muscles and blood vessels. Chocolate is also used as a strong tool for beautification. Even long ago, it was believed that it can cause acne or rashes, scientists now disprove this. 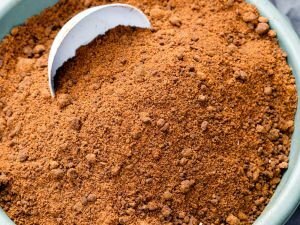 Today, extracts of cocoa and chocolate are a component of many products from cosmetics industry, while the chocolate is used for the treatment of the face, hair, etc. Because it is rich in magnesium, phosphorus and calcium, which regulate cellular metabolism, chocolate is proven to help bone density. Chocolate is a powerful aphrodisiac. Chocolate is the king of natural aphrodisiacs and contains Phenylethylamine and Anandamide. 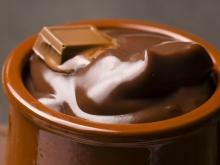 The cocoa contained in chocolate has tryptophan, which is important for serotonin, which in turn helps us to relax. Physicians of medieval Europe assured their patients that chocolate soothes the liver, helps digestion and relieves cardiac pain. 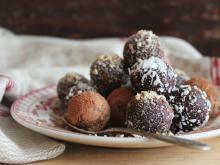 Chocolate aids in the treatment of tuberculosis, anemia, gout and to drop a high temperature. All the benefits of chocolate evaporate if it is consumed in excessive amounts. It has been shown that eating plenty of cocoa can trigger an attack of migraine, especially in women. According to some scholars, chocolate can act on the brain like marijuana. This is due to anandamide, which is contained in cocoa. This excites neurons in the brain that are sensitive to the cannabinoids of marijuana (cannabis). However, they are a very small component of chocolate and you need to eat 40 kg of chocolate to feel the exhilaration that smoking marijuana causes. In other studies, people who often eat chocolate are shown more prone to nervous disorders. An U.S. study shows that those who eat too much chocolate are more prone to depression. 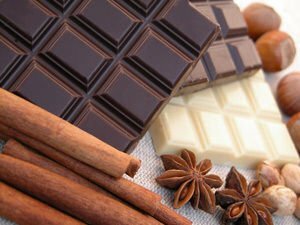 The cocoa temptation can cause depression and not be a treatment against it, because people who regularly eat chocolate and chocolate products, often fall into depression and melancholy. The reasons for this are several, but the main stress is rooted in that it increases the appetite for chocolate. It is sweet, but has only short-term benefits and in the long term can become bad. Other experts do believe that children who eat lots of sweets and chocolate every day are significantly more prone to violence in adulthood than those who are not as excessive with chocolate. 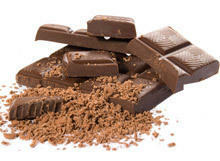 According to another study, when a person eats chocolate, it means that they have an acute need for magnesium. Alternatives, in the case of sweet foods are nuts, seeds and legumes. There is even a chocolate diet. It includes 100 grams bitter chocolate a day with a cup of black coffee, which speeds up your metabolism, plus water or tea. The diet promises a loss of 4 kg a week. According to statistics, people spend up to $ 7 billion on chocolate each year and has proven that the eating of chocolate increases significantly in late autumn. The average annual consumption of chocolate per person is 5.5 kg. France produces chocolate since 1615, and today holds an annual exhibition of chocolate every year in October there.